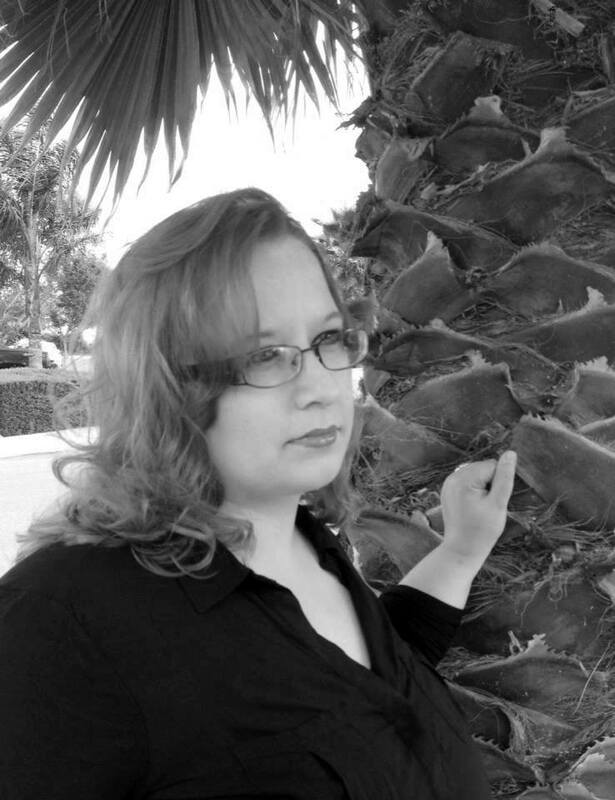 Angelique Anderson is the author of the Redemption series, the Little Lost Girl series and her tale of the forbidden fruit of immortality, Eden's Serum. She stops by the blog to chat about her work. Hi Angelique, and welcome to Altered Instinct. You have quite the mix of stories in your history – YA, fantasy, Christian-influenced work, biographical – and the sci fi of Eden's Serum. How do you describe yourself as a writer with such a range? Ha ha ha, when you put it that way. I am not sure if there is a way to classify myself. I generally file myself under young adult author, as I try to write books and stories that are simple but interesting to read. Things my teenager could read and be excited about. 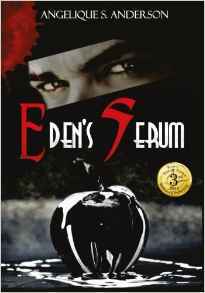 Eden's Serum is how I first encountered your work, where did the inspiration from the story come from? I can’t even lie, the basic story was my husband’s idea. He came home at 4:00 AM, and knowing my love for all things vampire and mythical, he said (and yes he woke me up to tell me) “What if you wrote a book about an immortality medicine, or something…. Something that could make someone live forever, but it backfires?” I loved the idea, because it felt like a modern twist on being a vampire, without being about vampires. So I started plotting it out. I wanted something completely different from anything I have ever written, so anything that felt like the opposite of my writing, I tried to include. Adam is a protagonist that isn't always likeable – in part, his poisoned apple, the serum offering immortality is almost a deserved comeuppance. What draws you to more complex characters in that vein, and is there a challenge in getting the empathy of readers for them? I think the majority of my closest friendships start out with people, who society may not always deem as the most likeable. I, myself, was that person growing up, the outsider, the unlikeable one, etc… That is reality, not everyone is a hero, not everyone is likeable at first. However, I think that everyone given the chance….can be…. Adam was so fun to write that way, because even though I know I could have delved further with his character (which I hope to do in Eden’s Demise, the sequel to Eden’s Serum) I think he sort of encourages people to realize that just because someone isn’t likeable, doesn’t mean they can’t be or that they don’t deserve a chance. Away from books, you're a singer and songwriter too, I understand – I'll freely admit envy for such talent! Do you have substantially different approaches to your songwriting and your story writing or do you find them coming from the same spark? Funny you should ask, it was while I was songwriting in Nashville, Tn, that I realized that songwriting was so close to story writing, and I was creating lengthy songs… because I was trying to be a story teller. Which is why I moved back to California and decided to put my singing aside and fully commit to writing books. There is such a similarity, and I think the best songwriters, are the ones that can tell a story in just a few stanzas…I need books to do that!! Ha ha ha ha. Where can readers catch up with your music? All of my music has been removed from online, but hold tight, because I have a Christmas song that my producer is pitching for me! So hopefully I will have something soon! The Redemption series you describe as a YA fantasy – and I see you have it listed under Christian fantasy, and refer to CS Lewis' Narnia series. How strong a part does your Christian faith play in the Redemption series, and your work as a whole? Tell us more about Redemption – what's your elevator pitch to a would-be reader? Hook us in! Evangeline loses her entire village to a man deemed ‘The Hunter.’ She tries to fight him and almost loses her life in the process, wandering off in the woods to die (or so she believes) she awakes to find herself stuck in a wolf body. With no knowledge of how she got that way, or to get out of it, she proceeds to live her life as an animal for many years. Until one day she meets a complete stranger, who is just like her. 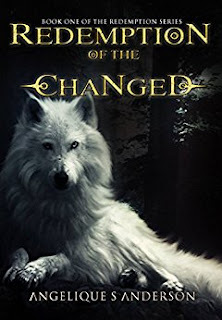 They both have questions and an ancient book may hold the answers, but first they must both embrace their race, a special breed known as ‘The Changed Ones’ meant to protect the human race, or there may be nothing left to protect. Together they will discover their true purpose, heal from their past, and fight the greatest evil the world has ever known. Turning for a moment to the Little Lost Girl series, this seems to delve into your personal history, with some particularly difficult subjects tackled. Tell us a little about the work. Something most people don’t know is that my father was a code breaker for the US military. His service messed him up badly, and he was diagnosed with paranoid schizophrenia when I was young. Before he knew there was something medically wrong with him however, my father and step mom made many choices that involved not being able to care for a child. As such, I was sent to live in many different homes, and eventually back in foster care. I was reunited with my birth mother when I was sixteen, but my upbringing before I was finally put with her was traumatic, and abusive, and etc… I think there a lot of people with stories like mine, and my hope was to encourage them to share that. I think fear stops people from healing, and when I finally let go of the fear and shared my story, I know it was very healing. Was it hard as a writer to confront such subjects? Or cathartic? I had moments of such difficulty when I wrote Little Lost Girl, that I was sure I would quit. Which is why I wrote it as a short story series, and then later published it as a complete series. I knew it was going to be difficult, and even though it is a memoir, I wrote it in a fictionalized way, where its not “I” telling the story, it really is a story about a little girl who just wants a home to call her own, but everything in there is true (except for some details, like names and conversations.) It was amazing to write, and the feedback I got! WOW!! For a while, the inboxes, and emails about the story, touched my heart so much. It did exactly what I wanted it to do…. It encouraged people to keep going. You recently featured as the King of the Hill in a writer's promotion from fellow authors – how much of an impact has that had on getting the word out about your work do you think? It must be awesome to get such a swell of support from your colleagues! That was such an incredible confidence boost for me! To know that the people I care about the most, support me, and care about me too? There is nothing better than that for me. I think it was a great spotlight for my work, and if I could do something like that every month, I dare say… I would be well on my way to being successful! It was fantastic! With such a range of work behind you, what is the starting point you recommend for new readers? And what is it about that work that makes you think it's such a key to unlocking your work? I think it really depends on what a person is into! I have favorite things I like about all of my books…. Eden’s Serum was the most fun to write, and has so many twists and turns, I think its great for people who get bored easily. I know there are some people who really love to get to know the writer whose work they are reading, and I think Little Lost Girl will give some a taste. The Redemption series is fun for anyone who loves fantasy, and it’s allegorical, which I think gives it more personal meaning. If you are stuck on that proverbial desert island – and have only three books to take with you, what do you choose? Just three books? If I take my kindle, is that okay? I am just kidding! I would take Redeeming Love by Francine Rivers, (I have read it a million times, and could literally read it a million more) The Lion, The Witch and The Warddrobe (of course!) and not to be cheesy but the bible would come along too, because just like C.S Lewis’s work… which had so much allegorical meaning, the bible has so much. I mean where else are you going to find stories of murder, deception, miracles, birth, death, soap opera, songs, poems and more, all in one??? It’s like the ultimate eclectic collection. I'll let you throw a musical influence in there too – whose records are a major influence on your songwriting work? Oh my goodness, so many!! I grew up on angry girl music… Alanis Morissette, Meredith Brooks, Fiona Apple, Joan Jett…. My all-time favorite music and my biggest influence on my songs is Evanescence and Jewel. I am not even ashamed of that. What are your future plans? What's next on your list? Future plans…. I plan to take over the world. Just kidding. The Brave Jungle Kitty Goes Trick-or-Treating and The Brave Jungle Kitty Learns the Meaning of Christmas. And lastly for November, I am participating in Nanowrimo to write my sequel to Eden’s Serum, I had to many requests to not do it! Eden’s Demise should be out by January. I'll be joining you in NaNoWriMo, though I'm not sure what I'm writing yet! And lastly, a traditional two-part question here. What are you reading at the moment, and what is the best book you've read in the past year? I am reading a slew of indie author books, several that I have started all at the same time, and I have been jumping back and forth: Icarus Rising-N.W Moors… one of my favorite indie authors, Dragon Moon by Julie Nicholls, Fang and Claw by Markie Madden, and Out of the Darkness by Kat Caffee…. And yes… all at the same time, a few pages here and there. The best book I have read in the past year, hands down is The Rise of Nazil: Aaron Micheal Hall. Proud to say they are all indie authors! Angelique, many thanks for visiting! Thank you so much for giving me a chance to share, I truly, truly appreciate it! You can follow Angelique's work on Twitter here, or on Facebook here. Editor's note: Angelique has also just won first place as favourite sci-fi author in the Virtual FantasyCon 2016 Awards.